What are common indoor allergies? These tiny bugs flourish in mattresses and bedding. When their droppings and remains become airborne, they can cause allergy symptoms. Thrives in damp, humid areas such as basements and bathrooms. When mould spores get into the air, they can trigger allergy symptoms. Most people are not allergic to animal fur, but rather to a protein found in the pet dander, saliva, and urine. How can you be sure that you are suffering from an allergy and not from a cold or flu? A cold usually does not last longer than 10 days, where allergies can linger for weeks or even months. Also colds and flus sometimes have other symptoms such as a fever or aches and pains which often you won’t experience with an allergy. When in doubt consult your doctor who can carry out tests to detect which allergy you may have. Wash bedding at 60 degrees once a week to reduce the dust mite load in the bedding. 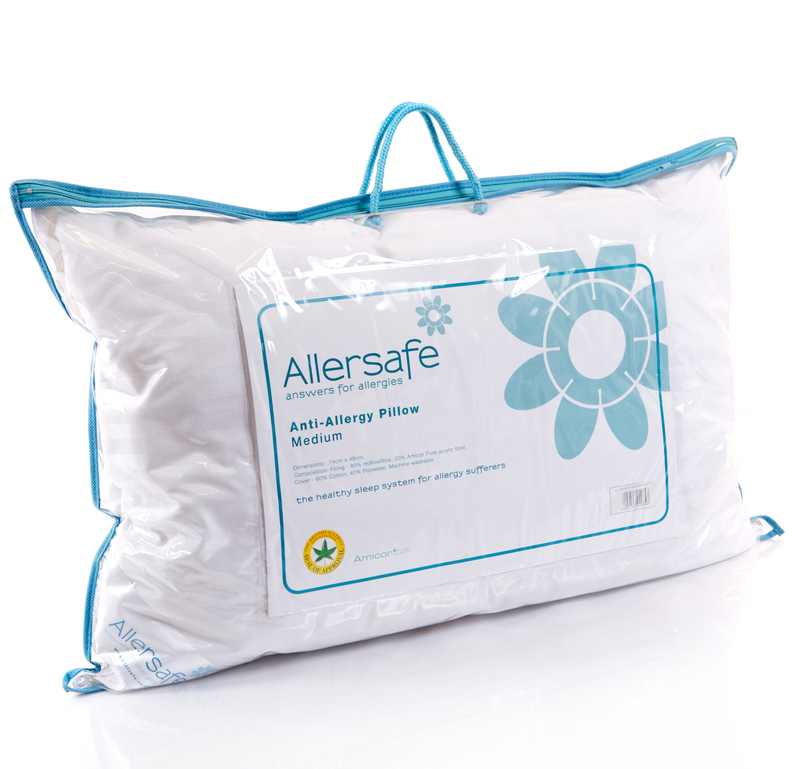 Avoid down pillows and duvets, which form a nice habitat for dust mites and can be an allergenic. Dehumidifiers can help to reduce dust mite exposure and ease dust mite allergy symptoms. Dust mites thrive in warm humid environments and their populations explode. Ensure you keep your humidity levels to below 50 per cent with a dehumidifier to ensure dust mites do not thrive. Bio-Life Home Cleanse is especially recommended for the bedding of those who suffer from dust mite allergies. 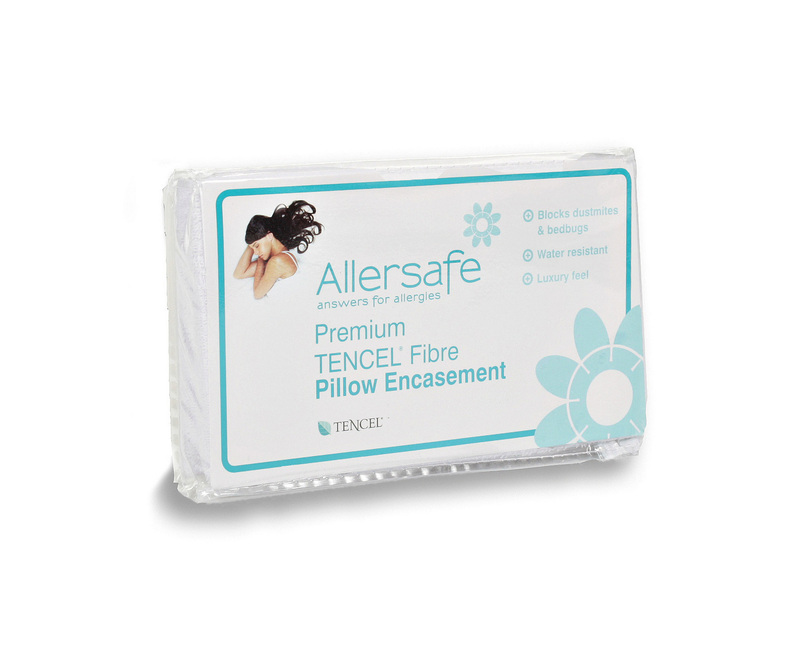 It can be used to treat mattresses, sofas and soft furnishings to denature and neutralise dust mite allergens and pet residue. Immediately wipe down wet surfaces, especially in the bathrooms and kitchen, to keep mould from growing. Good insulation can help cut down on mould by reducing condensation on cold surfaces. Throw out shower curtains, wallpaper, and carpeting that have mould. To help control mould, use a dehumidifier to keep the humidity in your home below 50%. An ideal solution in rooms where damp and mould is a problem, or in the winter months when condensation can build up on windows. Clean with the power of steam. Ideal for eliminating bacteria, mould spores, dust mites and allergens. If you find that you are allergic to pet dander there are a few steps to prevent an allergic reaction. Wash your hands and face frequently. Keep floors swept, and carpets vacuumed. Petal Cleanse Cat is a surfactant based solution that removes the allergens and dander from the coats of small animals that cause allergic reactions in humans. It has been independently tested in the UK and throughout Europe, and has been found to be safe, effective and easy to use. Petal Cleanse Dog is a surfactant based solution that removes the allergens and dander from the coats of small animals that cause allergic reactions in humans. It has been independently tested in the UK and throughout Europe, and has been found to be safe, effective and easy to use. All Bio-Life products have been awarded Allergy UK’s Allergy Friendly Product Award. Research suggests that students who have allergies or hay fever on exam day are 40% more likely to drop a grade. However this percentage is increased to 70% if they take antihistamine treatments which can cause drowsiness. Hay fever is caused by pollen from trees, grass and weeds. For most, hay fever is harmless but for some it can cause an allergic reaction which includes sneezing, itchy eyes and headaches. To deal with the problem students have traditionally had a choice of taking medication and risking the drowsy effects that can follow or feel the full on force of hay fever symptoms. However there are a number of precautions that can be taken in the run up to and throughout exam period, many of which are natural, without negative side effects which can tip the scales in students favour. It’s important to protect the rooms where studying and sitting exams are taking place. Creating a good environment for study ensures students have the best chance when it comes to putting pen to paper. Air purifiers to rid rooms of pollen and other allergens, and steam cleaners also are good for providing a deeper level of cleaning. Both will make a huge impact on the amount of pollen present in your home. Don’t forget to protect your clothes too. Our Bio-Life Fabric Cleanse denatures 90% of pollen found on your clothes. Try out products that can help before exam time so that way you know if they are suited to you. If possible ensure any medication taken is non-drowsy. Remember to bring water and tissues into the exam room with you; keeping hydrated helps reduce side effects. Before the exam try and reduce the amount of time you spend outdoors and while indoors keep windows closed to reduce pollen intake. If you wear them don’t forget your glasses they offer an extra shield from pollen. Hay fever? What hay fever? Good luck everyone! Hay Fever is a seasonal allergy to airborne pollen particles. It can cause sneezing, runny or blocked noses, itching in eyes, throat nose and ears, excess mucus, and red or watering eyes. Your GP will not always need to test you for hay fever as they can make a diagnosis from a description of your symptoms. Tell your GP the reactions you have been having. Remember to include the times of day or night, or season of the year that you experience them. In rare circumstances, your GP will carry out a skin prick test or a blood test to confirm hay fever. Anti-histamines relieve sneezing, runny nose, itching of throat and eyes, and should help with watering eyes. Anti-inflammatory nasal sprays, reduce inflammation in the nose, and normally contain steroids. Decongestant tablets unblock a stuffy nose. 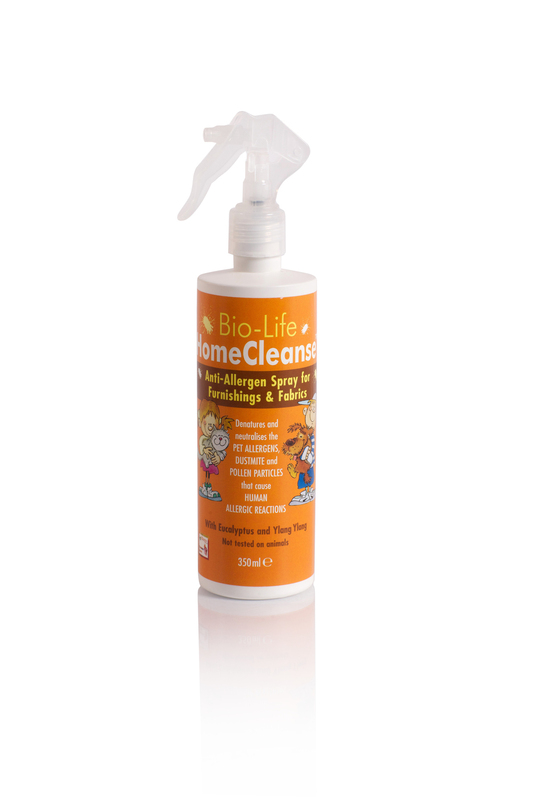 Bio-Life produces a range of sprays for your home to help reduce and neutralise the dust mite, pet & pollen allergens that are found in the home and that cause allergic reactions. Air purifiers are used to clear homes of pollen, so hay fever sufferers can relax comfortably in their own homes. Air purifiers, remove airborne pollen particles, along with other allergens from the air, allowing you to breath more easily. The AirFree Air Purifiers air filter uses convection to draw in particles and viruses to the ceramic core, where they will be incinerated. Am I more likely to have hay fever if it runs in my family? It is not yet known exactly why some people develop an allergy to substances such as pollen, but for some people it can run in families. You may be more susceptible to pollen if one or both your parents suffer from hay fever. There isn’t yet a cure for hay fever but symptoms can be controlled or lessened through various treatments. Hay fever is more common in teenagers and young adults and many sufferers find that the symptoms lesson with age, with some outgrowing the allergy completely. How do I follow the pollen count? Pollen counts are a measure of the number of pollen grains in a cubic metre of air, averaged out over a 24 hour period.They are heavily affected by the amount of sunshine, wind and rain. Low – <30, only highly sensitive hay fever suffers will experience any symptoms. Moderate – 30-49, may produce mild symptoms to sufferers. High – 50-150, most hay fever suffers will experience symptoms. Which parts of the UK are hot-spots for hay fever? Large cities tend to be worse for those with hay fever, as the high air pollution can aggravate symptoms even in low pollen count areas. Due to higher rainfall and a shortened pollen season Scotland, Wales and Northern Ireland have a decreased pollen count. Areas with mountains and moors tend to be less affected, as the vegetation in these areas is less allergenic. Inland, lowland areas (like the Midlands) record the highest pollen counts, with coastal areas tending to have the lowest recordings. Find out more about Hay Fever or other allergies at Allergy UK.